During her time at AU, business administration major Tonika White, AU ’14, discovered her passion for giving back to others and she is now building her life around it. The award-winning Aurora University American Marketing Association (AMA) chapter is offering a transformative learning experience to students through its Marketing Solutions team. Marketing Solutions is one of 12 AMA teams that students can join to gain professional business experience. The team serves as a consulting firm, providing marketing services to local companies. This week approximately 600 new freshmen from 29 different states are joining the AU family as well as nearly 400 transfer students. To meet the needs of new and returning students, the university is undergoing a series of enhancements that are sure to have a positive effect on academics and campus life this year. Watch the summer project work in action as the magic of time lapse condenses three months into less than three minutes. 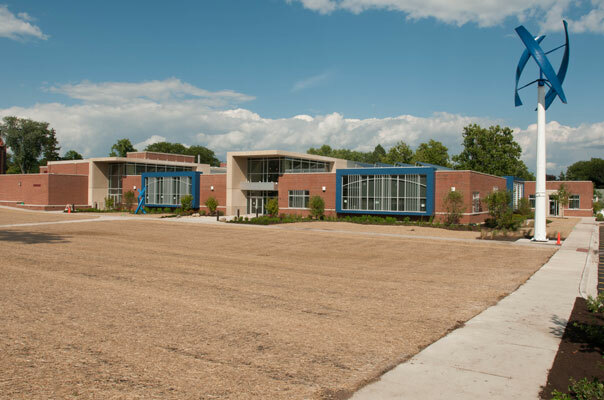 Classes began today at the new John C. Dunham STEM Partnership School on the Aurora University campus. The STEM school on the Aurora University campus serves students in third through eighth grades in the West Aurora, East Aurora and Indian Prairie school districts. Aurora University announced today that it will open a new center for learning near the main campus. Classes will begin this summer at the Aurora University Orchard Center, a facility that includes nine classrooms, a computer lab, a lounge, and both faculty and administrative offices. The building is conveniently located less than five miles from the main Aurora campus at 2245 Sequoia Drive in Aurora, near the interchange of I-88 and Orchard Road.